Shade is a top benefit of trees, but trees also can block wind or noise, offer privacy for homeowners and provide shelter and food for birds and other wildlife. Evergreen trees give you those benefits year-round. We usually picture evergreen trees on ski slopes and other cool locations. But the five evergreens listed below can handle desert heat and use little water. Think about adding one of these evergreen trees to your Anthem area landscape. The Mulga is a thornless tree native to Australia that can bloom with puffy yellow flowers several times a year, usually in spring and summer. Its thin leaves are silver gray. The tree grows slowly to a mature height of at least 20 feet. The Mulga needs full sun, loves the heat of zones 8 through 11, and is a great evergreen choice for Phoenix-area xeric gardens. Other evergreen or semi-evergreen acacias are the Guajillo, Shoestring and Hardy Sweet. The Texas olive is a large shrub or small tree that is mostly evergreen, but can drop some leaves in cooler winters. Showy white flowers appear from spring through fall, attracting hummingbirds – but be aware that when the flowers drop it can cause quite a bit of debris under the tree. The trees grow at a moderate pace and can reach heights of 15 to 25 feet, and they need lots of heat and occasional watering. The rounded shape and relatively small size make the Texas olive a great choice for a patio tree or in groups as a privacy hedge. One of the Texas olive's most outstanding features is its twisting multiple trunks that show up more as the tree ages. Also called the Feather Bush or Desert Fern, Feather Tree is a moderately growing tree that reaches up to 15 feet in height. Its fern-like leaves usually turn slightly red in winter temperatures and might drop in colder winters. In spring, the tree has small white flowers. The native plant can handle full sun and reflected heat. It's also made more attractive in the landscape because of its spreading, multiple trunk growth habit. Feather Tree is an excellent natural-looking xeric tree for Anthem yards. Evergreen foliage is one thing, but this tree native to the Mexican tropics also blooms in winter. Sulphur yellow flowers join the evergreen leaves of the Cascalote from about November through March in the low desert. Blooms are followed by copper-colored seed pods. And the Cascalote is versatile, tolerating both some freezing and hot weather. The native tree is very thorny, but a new cultivar called Smoothie has no thorns. Despite its tropical background, the Cascalote works well as a low-water evergreen. Texas ebony is another thorny, but otherwise delightful evergreen tree for the low desert. The small-to-medium height tree (20 to 50 ft.) has dark green foliage and fragrant, creamy white and yellow flowers in summer. Texas ebonies love full sun and can grow in nearly any kind of soil. This is a great evergreen for shade, bird shelter and to attract butterflies. It is thorny, however, and should be placed in the landscape with that in mind. The Texas ebony tolerates wind and drought. Most evergreen trees in the low desert are relatively small, but still add winter interest and screening to your yard. Even though the trees can stay green all year, evergreens occasionally need pruning and other care, and new trees need extra water for the first year or so. 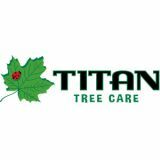 Contact us any time if you have questions about the best times and methods for pruning evergreens and other trees in your landscape. *Note: All of the trees above are on the approved trees list for Anthem.